Maico's Ake Jonsson continues his march through America, this time winning the Trans-AMA at Rio Bravo in Texas. Jonsson will win the last nine rounds of the series in a row, setting a U.S. record for consecutive pro motocross wins that will last until Jeremy McGrath's run of 13 AMA Supercross wins in a row in 1996. Check out some of this classic footage from the '72 Trans-AMA race at Rio Bravo, with trees literally right in the middle of the track! 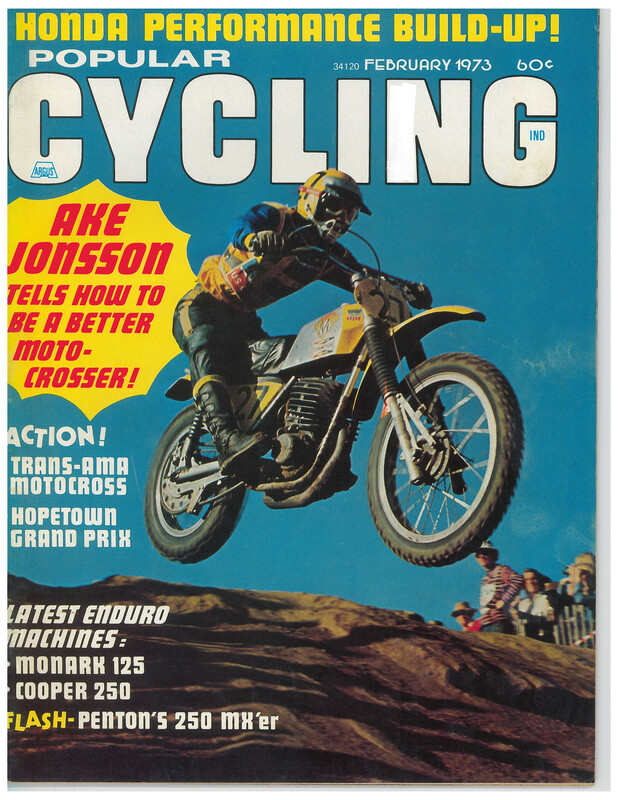 Ake Jonsson on the cover of the old Popular Cycling ($.60!) 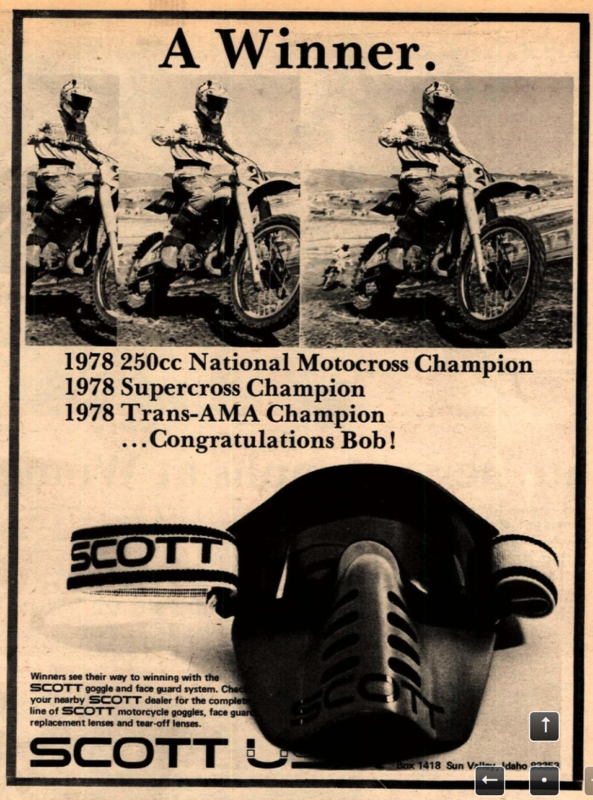 while dominating the '72 Trans-AMA tour. "Rocket" Rex Staten got his first major race win at the Trans-AMA finale at Rio Bravo, Texas, and his Yamaha teammate Bob "Hurricane" Hannah made history by winning the '78 Trans-AMA Series, the first time that an American had ever won the series, going back to it's genesis in 1970. Staten rode a Dave Osterman-prepped OW-39 works bike to 1-3 finishes to earn the overall. British rider Graham Noyce was second on his RC-450 works Honda, and Hannah placed third on a 420cc works bike that was wrenched by Keith McCarty. 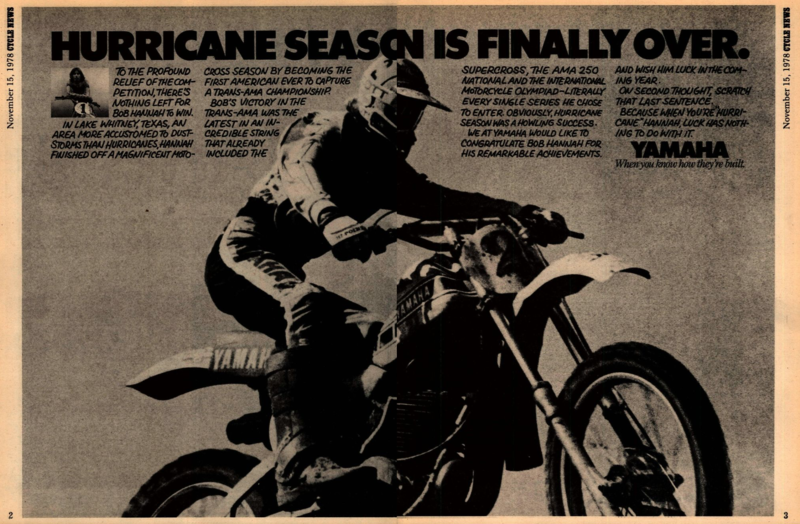 Cycle News reported that Yamaha's Hannah and his friend and rival Marty Tripes had decided together that they would race the upcoming Anaheim SX, slated for November 11, 1978, after coming to an agreement with promoter Mike Goodwin. When asked what exactly the agreement was, Hannah said, "Tripes and I just decided we were going to show up and win all of the money." Hannah certainly held all of the cards in any negotiating with the promoter, as he had just added the Trans-AMA title to the AMA Supercross and 250 Pro Motocross Championships he had already sewn up, making him the only rider with three such titles in one season. That feat would not be challenged until Jean-Michel Bayle one-upped him in 1991 by winning two AMA Motocross titles and the '91 AMA/Camel Supercross Championship. 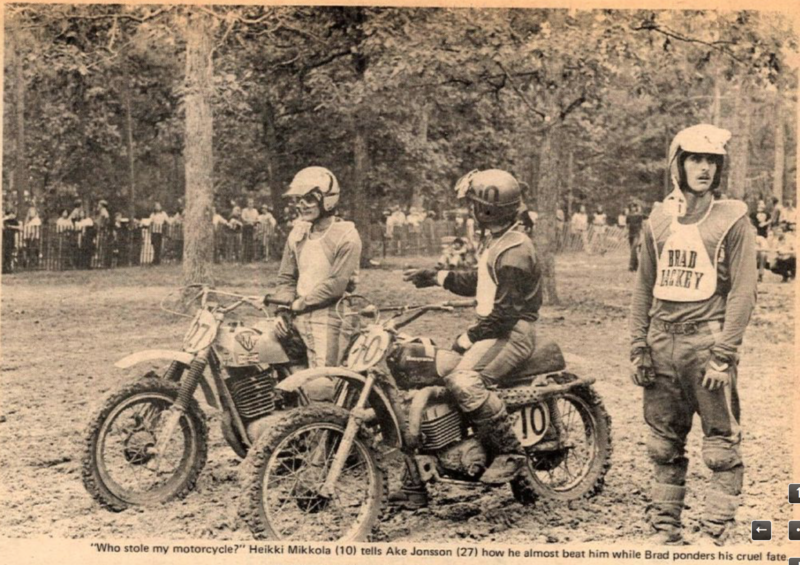 And here's a Trans-AMA photo for the '72 entry of Mikkola, Jonsson, and Lackey, who would finish as top American.